PING Monitoring Software PRTG. All in one. A ping test will show you if a connection has been made and if a device is available. It is an extremely simple diagnostic tool for getting a general idea of availability. But it will not tell you how well individual devices are running. For this you will need a detailed analysis, such as is obtained via SNMP, WMI, or SSH. Ping monitoring will let you monitor your entire network via ping. PRTG is a Windows-based monitoring tool. The ping sensor is a central sensor. During setup, a range of IP addresses is pinged and basic initial monitoring is configured. If the ping fails, you will be notified immediately. 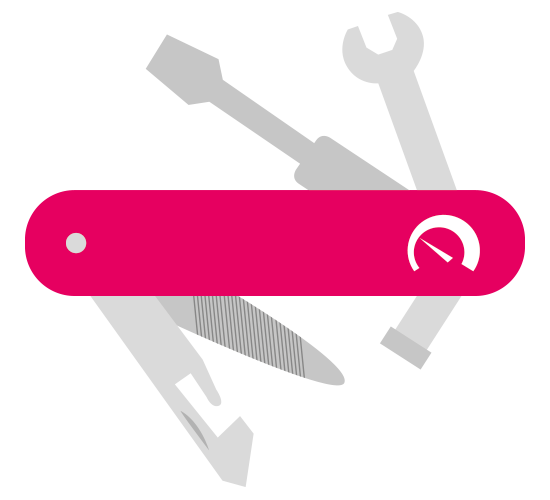 PRTG is a ping tool and network monitoring tool for Windows. It runs on all major Windows systems, such as Windows Server 2012 R2 and Windows 10. With PRTG, you get a powerful tool for your entire network. Whether servers, routers, switches, uptime, or cloud connectivity: PRTG keeps an eye on everything so you can save in administrative hassle. In addition to ping sensors, SNMP, NetFlow, and Packet Sniffing sensors are used to offer you a detailed look at the availability and workload of your network. PRTG features a customizable, built-in alarm system that promptly notifies you of problems. The ping sensor is set as the master sensor for your network devices. If this sensor fails, all the other sensors on a device switch to sleep mode. This means you’ll receive just one notification – and not be flooded by alerts. The PRTG dashboard provides a quick overview, any time you like. You will immediately see if everything is alright. The dashboard is customizable to meet all your specific needs. While away from your desk – such as when working in the server room – PRTG can be accessed via smartphone apps so you never miss a beat. Initial monitoring is set up immediately during configuration. This monitoring is made possible thanks to the Auto Discovery feature: PRTG pings your private IP addresses and automatically creates sensors for your available devices. You can check out the availability of your network simply by opening PRTG for the first time. 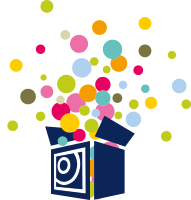 PRTG features a transparent license model. There is a free trial version enable you to check if PRTG fits your needs. The ping sensor and alarm feature are also included in the trial version. And upgrading your license is easy should the needs of your company or network rise. The PRTG Ping sensor is one of the most commonly used sensors. It displays the ping time. It also shows the minimum and maximum ping time of a series of pings during an interval. Packet losses are also displayed. Find out more about the Ping sensor here. This sensor sends a series of ICMP echo requests to calculate statistical jitter. Jitter expresses the deviation from average latency, enabling you to determine the quality of your service. More information on the Ping Jitter sensor here. The Cloud Ping sensor uses PRTG Cloud to measure the ping time of your network from various locations in the world. This sensor allows you to see the availability of your network in Asia, Europe, and America. For international companies, in particular, this measurement is an extremely important consideration. Find out more about the Cloud Ping sensor here. Whether bandwidth, servers, virtual machines (VMWare or Hyper-V), Linux, or Windows: PRTG comes with more than 200 predefined sensors, making it easy to get started or switch from another monitoring tool. Feel free to have a look at our sensor list! 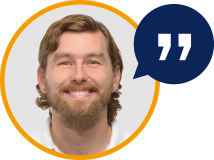 "I want a ping sensor that will only collect information about the availability of a device, without changing its status. Is this possible?" "Can I create an inverse ping Sensor?" Markus Puke, Network Administrator at the Schüchtermann-Klinik. 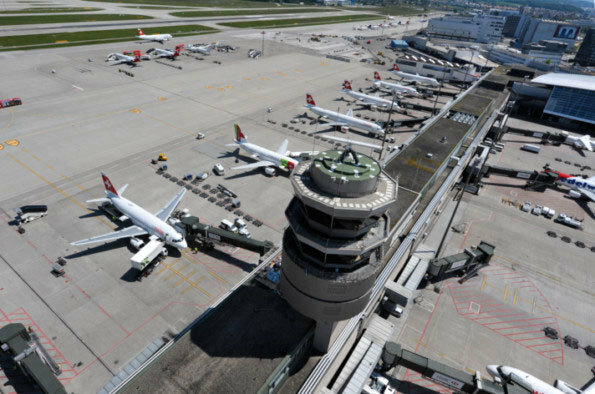 Zurich Airport is the largest airport in Switzerland, which means it is especially important that all its electronic systems are always up and running. To make this a reality, its IT team has implemented the Paessler AG's PRTG Network Monitor Tool. Boasting more than 4,500 sensors, this tool ensures that problems are immediately detected and directly solved by the team's staff. Previously, the IT team relied upon a mishmash of monitoring software. But ultimately the managers found this software unsuitable for ad-hoc monitoring by the operating and engineering personnel. In total, 5,000 students and 400 employees have access to the IT systems of the Bauhaus University in Weimar. The university's previous network monitoring was an isolated Nagios-based solution. The system was technically outdated and no longer sufficient to meet the needs of the school's IT. Modernizing the infrastructure would have been extremely expensive. Instead, the university inquired about new network monitoring solutions. The IT managers wanted comprehensive software offering optimal usability, easy setup, and excellent value for the money. They therefore went with PRTG. Just over 200 Frankenthal Public Utilities workers are responsible for supplying electricity, gas, and water to both private and business customers. The organization of all its buildings is also dependent on its locally distributed infrastructure, which is composed of around 80 servers and 200 connected devices. The IT managers at Frankenthal Public Utilities were looking for affordable software that could meet their specific needs. At first, the IT team configured the free trial version of PRTG. 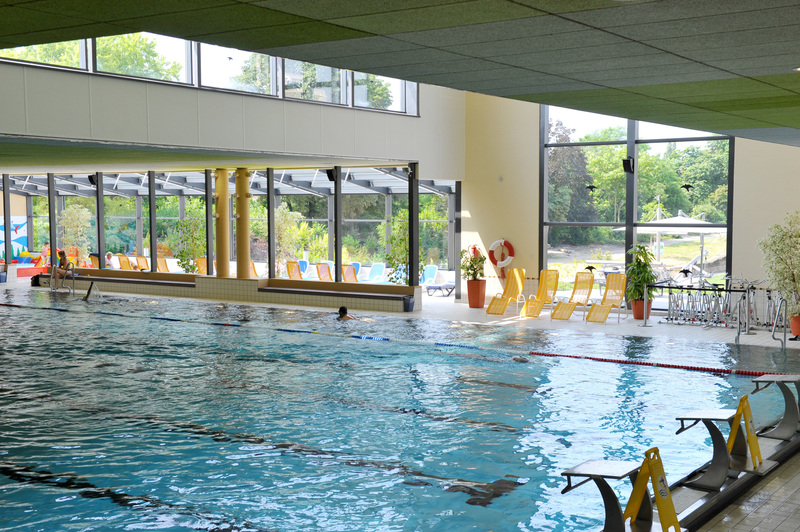 Today, Frankenthal Public Utilities uses about 1,500 sensors - which monitor, among other things, public swimming pools. Practical tip: Hey Greg, do you have any ping monitoring tips up your sleeve? 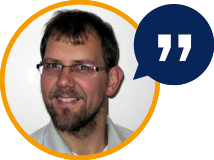 "Ping sensors are probably the most important elements of any network monitoring. They must be set up correctly, particularly with regard to your connections. If for example you are monitoring a virtual machine, then it makes sense to place the ping in connection to its host. Should the host crash, you will therefore not be notified for each and every virtual machine connected to it. Furthermore, ping sensors can be good indicators of whether a network path to a host or the Internet functions properly, especially in high-availability or failover scenarios." PRTG offers integrated complete Active Directory Monitoring in real time. Find out more about Active Directory Monitoring here. Network monitoring, network analysis, network diagnosis? What is the issue you are currently facing - and how can PRTG help? Read more on this topic in our Network Monitoring section. Mail servers, web servers, database servers: PRTG offers an extensive range of server monitoring. Even virtual servers can be monitored with PRTG. PAESSLER AG is a certified VMware Technology Alliance Partner. Find our more in our Server Monitoring section. 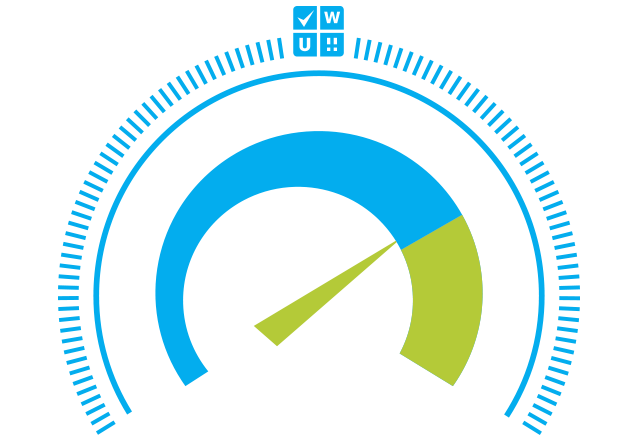 With PRTG, you'll always know the status of your network's uptime and downtime. Thanks to our comprehensive monitoring, you can immediately take to troubleshooting to find and remove bugs. 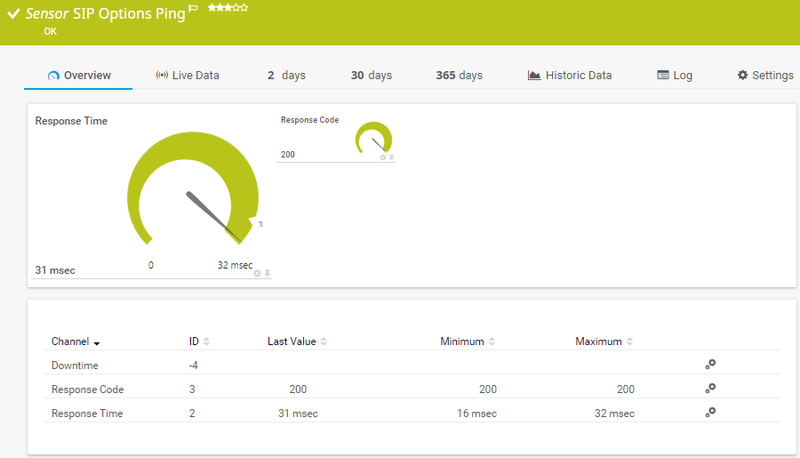 PRTG measures the uptime of your servers, CDN, individual devices, website, etc. 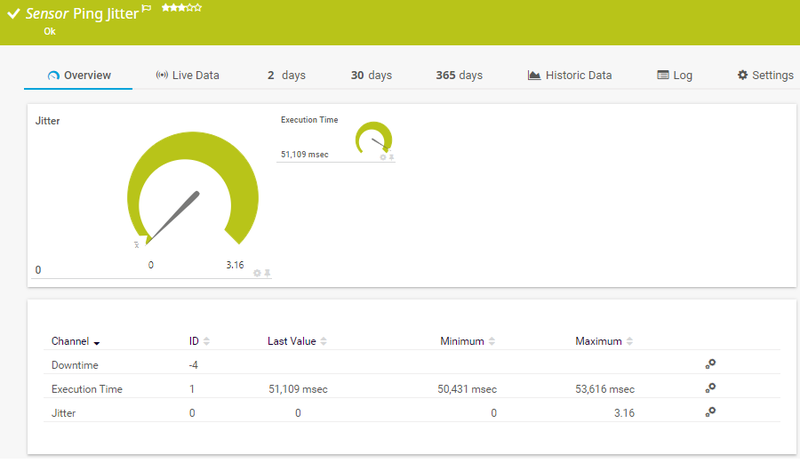 More on Uptime Monitoring.